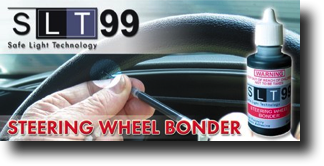 The SLT 99 bonder adhesive has been specifically formulated for foam steering wheel injection. The formulation is very thin so that it can move around inside the wheel without clogging up and causing air pockets. When cured, it forms a type of rubberised bond between the metal and foam to prevent the adhesive from snapping away from one of the surfaces. Most other adhesives are too brittle when hard and too thick for this type of application. So when the wheel comes under force (twists), can easily snap off, causing the wheel to be unrepairable. Click on the video above for the full video instruction. SLT99 Steering Wheels Bonder is a remarkable breakthrough in repairing steering wheels. Its extremely thin viscosity bonds the foam back onto the metal core of the wheel, making the wheel roadworthy again! 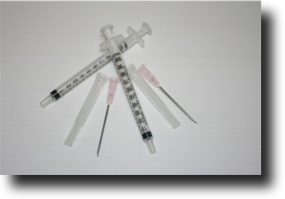 Replenish your needles and syringes with this kit. Includes40 needles and 20 syringes.